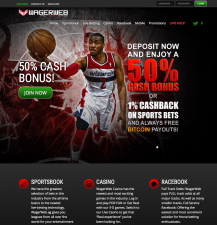 WagerWeb.ag is a USA-friendly sportsbook that also accepts players from all around the world. The company has been online since 1999 and has recently been seeing an uptick of good PR after switching platforms and upgrading their customer service department. 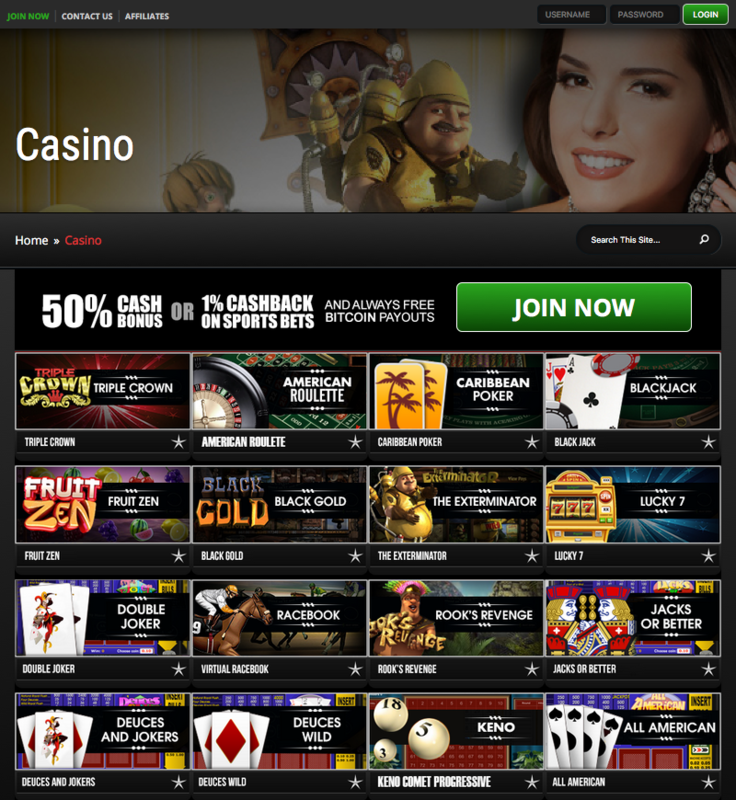 The site is known for its great bonuses, its live betting platform and having no country restrictions. Despite the company being online for so long, it had to endure many controversies surrounding customer payouts on big bets and correlated parlays. Even SBR had them once rated as low as a “D-” sportsbook in years past, but management has since cleaned up its act and the improvement in payout options and timeframes has been nothing short of remarkable – at least for the time being. 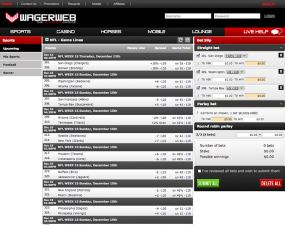 Past controversies aside, WagerWeb.ag is a pretty decent sportsbook if you’re a recreational bettor. Their betting markets and lines are pretty standard – as we’ll delve further into in our review – but they are still far away from becoming a top level bookie like Bookmaker or 5Dimes. For its shortcomings though, the site at least offers some intriguing cash bonuses and free plays for your betting buck, along with solid customer support. Sizable 1st time deposit bonuses (up to 50% cash bonus option). Largest selection of teasers anywhere. Buy up to 5 points on certain matches. 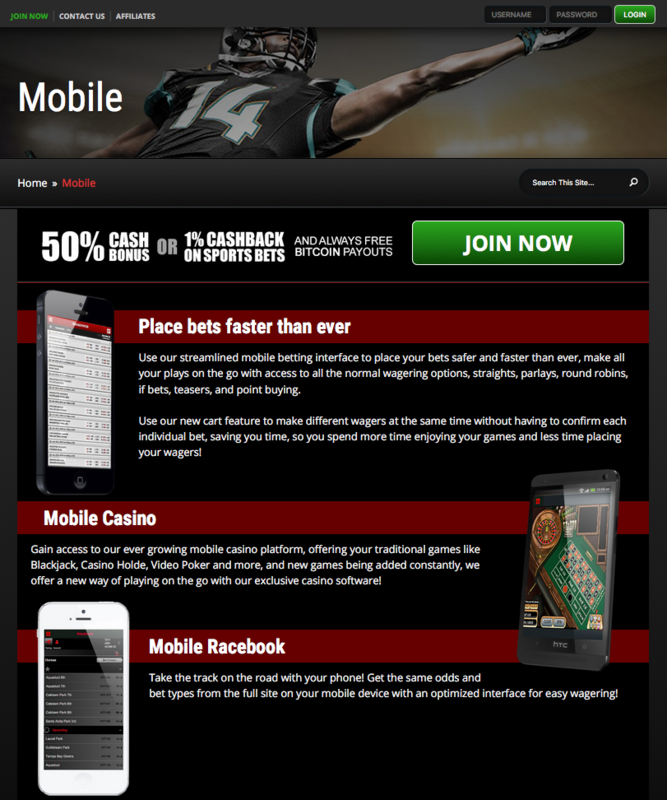 Great website layout and mobile platform for bettors. Above-average fees for cashouts; limited withdrawals per month. Confusing bonus structure and rollover requirements. Max bets are some of the lowest in the industry. WagerWeb.ag offers a few different bonus options for new players, many of them with “Free Play” offers attached to them. Don’t get too excited though about seeing the word “Free” in this case. With many of the bonus offers the site has there are rollover requirements from 8x to 15x, which could mean you’ll be stuck having to clear a decent amount of betting action to ensure you can withdraw your bonus cash. 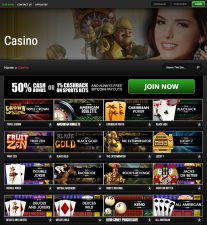 Elite Bonus – This is there more popular bonus, with a 10% cash bonus and a 15% free play bonus attached to it. It has the smallest rollover at just 8x. In addition, you’ll also be eligible for 1% cash back on your volume every Monday, with 5% rebates also being credited back on any racebook and casino losses you incur. Rollover example for this bonus: Say I deposit $1,000 and take the 15% free play option. I would need to play 8x the deposit PLUS the bonus before I can make a withdrawal. I would basically need to complete $9,200 in action before my rollover requirements were fulfilled and I could start to cash out my balance and any bonuses earned. High Roller Bonus – This is decent option for players looking to make bigger bets ($50 to $200 a game is pretty common). You can either choose a 20% cash bonus or take the 30% free play option. The rollover on either bonus is 10x on this option, with additional 5% rebates available for racebook and casino wagers you make. High Bonus Special – This is the largest bonus WagerWeb currently offers, with a 50% cash bonus option or a 75% free play bonus. It comes with a 15x rollover and it does come with limitations – its biggest being that your largest bet during the rollover period is limited to 20% of your deposit amount. Once you’ve cleared the rollover these restrictions will be lifted on your account. 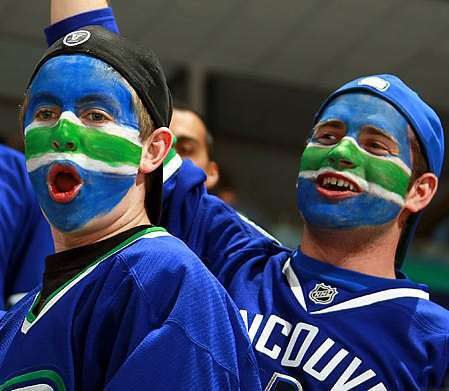 WagerWeb offers lines in most major North American sports, including NFL, NBA, NHL and MLB action. They seem to favor the North American market more than anything, but they also offer a nice selection of international sports as well. Unlike some other sportsbooks, they do not offer exotic bets, like betting on Presidential elections or anything entertainment-related. With some of these sports offering so many different leagues within them, there are literally dozens of wagering markets available for USA and international sports alike. You can filter these out easily within your lines backend at WagerWeb.ag. Lines for most of the sports they offer are standard for the industry, with some of their parlays and teasers being pretty weak compared to other bookies. Those will be broken down further below in this review as well. If you’re betting stateside then you’ll be pleased to see that WagerWeb caters to these types of bettors. The busiest time of the year for this site is of course around NFL season, which also coincides with NCAA football season. Football is a huge draw for almost every book out there, and this one is definitely no different. Other big time sports that seem to draw a lot of action in the United States is MLB, NBA and NCAA basketball – especially around March Madness. Other sports gaining serious momentum in the region is PGA Tour Golf and soccer, too. As mentioned previously, the lines for all these sports are par for the course and I don’t see anything that stands out as great compared to other books I have an account with. There aren’t even a ton of dime lines being offered or reduced juice bets available, which is rather disheartening. Soccer, NFL and NCAA Football seem to always draw the most wagers in the international community, especially for those based in the UK and Europe. Other sports like tennis, golf and MMA all account for a lot of obscure betting outside the USA. Punters also pay a lot of attention to horse betting, as there are literally hundreds of tracks taking wagers all over the world. Most sportsbooks offer daily cash back rebates on these horse races so it is nor surprise they can be such a huge draw. Like the USA betting market, there is nothing that impresses me about the lines here. They are all standard and are market value, with 3 or 4+ team parlays and teasers being pretty poor value bets compared to what the competition offers. There are props available for most every sport imaginable on their lines page, with odds for standard 2-team teasers and parlays being close to what most books offer in the industry today. Trust me when I say this is NOT the book for you if you’re looking for value on those types of bets. As far as betting limits are concerned, this site is completely sub-standard. Some sportsbooks feature max betting limits up to $25k to $50k PER GAME – at WagerWeb.ag, you’re capped out at $5,000 for NFL spreads – and even lower for moneylines and totals. This is a big reason why they aren’t popular with professional handicappers. Other major sports beyond football have even worse caps. Small-market sports are capped at $1,000 max bets, with even the major sports getting capped at anywhere from $1,000 to $3,000 max betting limits on sides, moneylines and totals. 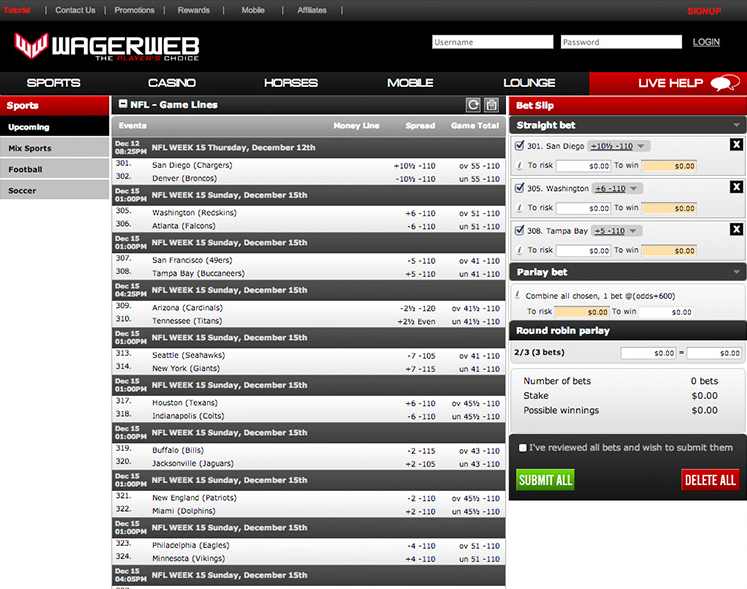 WagerWeb.ag offers a decent amount of STANDARD pricing for most major and obscure sports alike. As I’ve mentioned numerous times already in my analysis, this is not a site for pros to bet at, as you will find little to no value in some of the bet types here at WagerWeb. That’s not saying this is a bad book, but it is blatantly clear that with their betting limits being so low that they are targeting more recreational bettors. From my experience at the site, the lines are market-standard for most major sports. There may be some larger differences in pricing for more non-traditional sports, but the sports that people bet the most on are not getting anything better than what is being listed other books. They do offer the largest selection of teasers at least, and they do pay odds on true parlays as well. You can also buy up to 5 points on certain matches. If you see a line at -120, chances are that same line will be found at 5Dimes or Bovada for the same price. However, with sites like 5Dimes at least they offer dime lines and reduced juice betting for some of the major sports, which shows why it’s so abundantly clear that you should do your homework on these bookies and shop lines. Despite changing platforms in 2015, this site features a lackluster amount of options available for deposits and withdrawals. I’ll do a quick breakdown of each method and the limits available for each banking option. As a reminder, if you choose to use a credit card to fund your account you will have to upload paperwork for ID verification purposes. For any issues you may have about funding your account, you can contact support at 800-326-6088 or at 800-397-4319. They also have a Facebook and Twitter that is active and you can contact someone there at all hours of the day and night. There are a total of 7 options available for loading your account, with the most popular and most-encrypted being Bitcoin, which was recently added to WagerWeb’s backend in 2015. Visa and Mastercard: You will normally be capped at $500 max for depositing with either of these methods. Money Orders: Using Western Union or MoneyGram, you will normally be able to max deposit anywhere from $400 to $500 with this method. Checks: Utilized for larger deposits. I would contact support for limits. Bank Wires: Same as checks – used for larger deposit amounts. Bitcoin: This is the safest and most convenient way to deposit (and withdraw). Limits on Bitcoin deposits vary, but most books allow healthy 5-figure amounts for deposits when this option is used. Options for withdrawing are few and far between at this site, but here is an updated list of methods, which also show max payout amounts and time of arrival for cashouts. Bitcoin: Max payouts for BTC are $3,000 and these process within 24 hours. Checks: $3,000 max available and these take 10 to 20 business days to arrive. Bank Wires: $3,000 minimum/$10,000 maximum for this option; takes 3-10 days ($75 fee). MoneyGram/Western Union: $680 max available and take 48 hours to process (10+% fee). Unfortunately, since WagerWeb isn’t a top level book and doesn’t have the size of a Will Hill, Bovada or Bet365, they just don’t have the types of withdrawal options available that these books have. While WagerWeb.ag has a lot of work to do to earn top-tier status among other books listed on our website, it does have a promising future as far as their mobile betting platform is concerned. 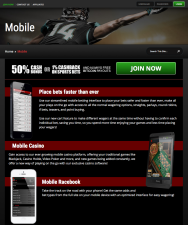 You can access up to 50 or more live betting markets per game straight from you mobile browser, as well as see everything from in-progress bets and all your account information straight from their mobile dashboard. 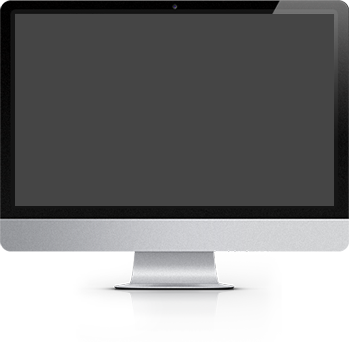 The site is very smooth and can be loaded on most major smartphones from Apple, Samsung and Microsoft. It has a very clean look and the lines load smoothly without any lag on your device. They do not have a standalone app right now, but with the features already available straight from your smartphone or tablet, the mobile browser is really all you need.